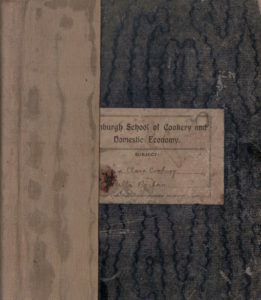 This notebook from the course of Plain Class Cookery at the Edinburgh School of Cookery and Domestic Economy belonged to Bella Bickham, who lived at 8 Atholl Crescent Edinburgh. 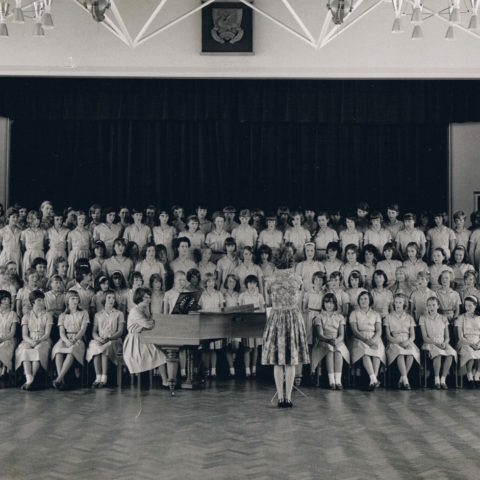 The course began with a Scullery Demonstration which included washing glass, china, earthenware and the washing and cleaning of cutlery, silver, copper, brass, tin, zinc, saucepans, sites and wood. 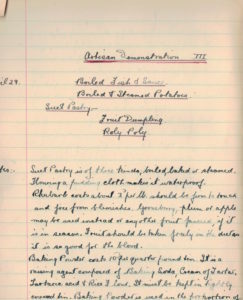 The plain cooking taught in the course was deemed to be suitable for ‘artisans’. 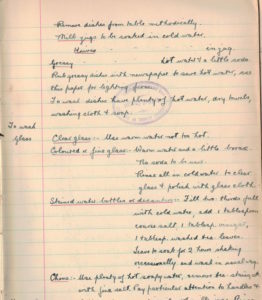 As Bella’s notes record, the recipes demonstrate that these artisans were to be relatively well placed economically. All posts are my copyright and may not be reproduced in any medium without my permission and full acknowledgement. You are welcome to cite or quote from the material on the site provided you acknowledge the source fully.